Born in Chicago, Illinois in 1935, Robert Henry Lawrence Jr. appears to have been destined for greatness at an early age. While Chicago was still pulling its way out from the grip of the Great Depression, the great migration of African Americans from the south had the city bursting at the seams causing high unemployment rates, overcrowded housing and poor schooling conditions. And yet, Robert Lawrence succeeded in graduating in the top-tenth percentile of his high school class at age 16, and went on to receive a degree in chemistry at age 20. While earning his degree at Bradley University, Lawrence enrolled in the Bradley Air Force Reserve Officer Training Corps, where he earned the position as Cadet Commander. After graduation, Lawrence’s time in the ROTC program at Bradley University allowed him to enter the Air Force Reserve Program as a Second Lieutenant. At a time when most of the country was at war over African American segregation and most African Americans were facing extreme discrimination, Robert Lawrence was completing his training at Malden Air Force Base in Missouri to become a pilot in the Air Force at the age of 21. During his years in the Air Force, Major Lawrence held the role of both a pilot and a research scientist in the weapon’s laboratory located in New Mexico. Major Robert Lawrence then went on to participate in the Air Force Test Pilot Training School, a program which trains accomplished, senior pilots on how to pilot experimental aircraft. Lawrence’s completion of test pilot training school prompted his acceptance into the Air Force Space Systems Division in 1967. At that time, the Air Force and NASA had two separate space programs. Major Lawrence was assigned to the Manned Orbiting Laboratory project in June 1967. His education in chemistry along with his skills and training as a test pilot allowed Lawrence to play a critical role in the development of vehicles that would someday be used for space travel. Additionally, Major Lawrence played an integral part in creating some of the astronaut training programs that are still used today. Sadly, Major Lawrence was never able to take pride in his status as the first African American astronaut. At the time Lawrence was involved in the Manned Orbiting Laboratory project, participants in the project were not classified as astronauts, given that they were not part of the NASA program. It was not until 1997, some 30 years after his death, that the Astronauts Memorial Foundation requested that the Air Force posthumously grant Lawrence the status of astronaut. 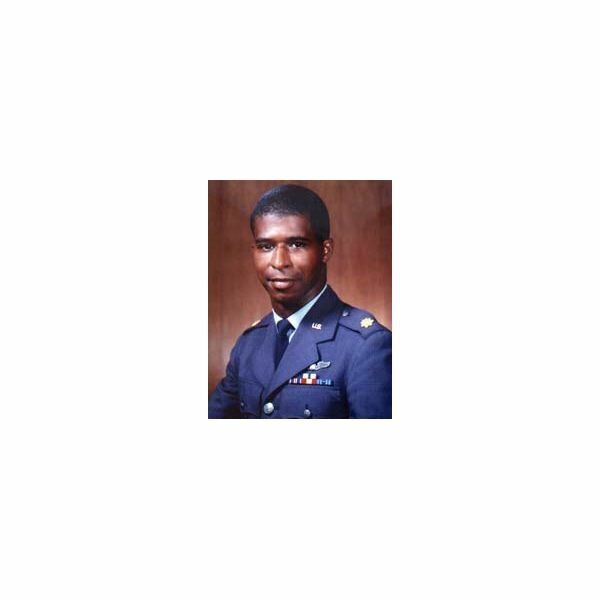 Though Robert Henry Lawrence Jr. lived a rather short life, perishing at the age of 32 in a jet crash, he certainly lived a very full life overcoming racial hurdles and accomplishing what some would have viewed as impossible for a man of color during that time in history. His drive and determination eventually led to his one-of-a-kind status as the first African American Astronaut, a legacy that has stood as an inspiration for those that would follow in his footsteps.